Penal Code, 1860 - Ss. 193, 195, 211 & 376 (2) (g) - Criminal P.C. 1973 - S. 340 - Procedure in cases mentioned in Section 195 - the High Court has not recorded a finding that “it is expedient in the interest of justice to initiate an inquiry into the offences punishable under Sections 193 and 195 IPC against the police officials and under Section 211 IPC against the prosecutrix”. 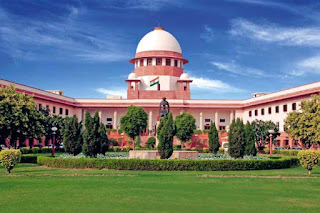 Without affording an opportunity of hearing to the police officials and based on the materials produced before the appellate court, the High Court was not right in issuing direction to the Registrar General to lodge a complaint against the police officials and the said direction is liable to be set aside. Prevention of Corruption Act, 1988 - Ss. 13(1)(c)(d)(e) r/w. 13(2) - Principles of “double jeopardy” - Even before commencement of trial, the accused was discharged due to lack of proper sanction, there was no impediment for filing the fresh/supplementary charge sheet after obtaining valid sanction. 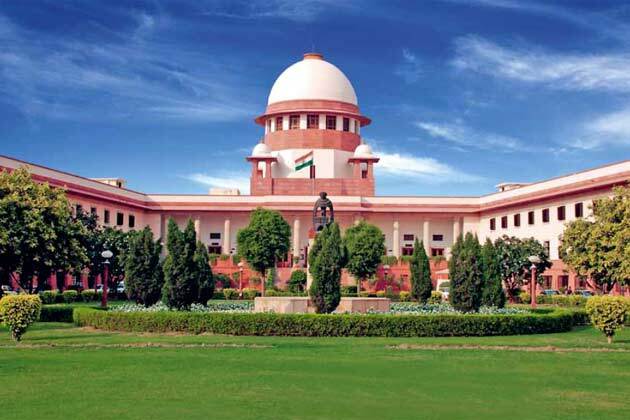 Unless there is failure of justice on account of error, omission or irregularity in grant of sanction for prosecution, the proceedings under the Act could not be vitiated. By filing fresh charge sheet, no prejudice is caused to the respondent nor would it result in failure of justice to be barred under the principles of “double jeopardy”. In the case in hand, the accused has not been tried nor was there a full-fledged trial. On the other hand, the order of discharge dated 12.09.2013 passed by the Special Court was only due to invalidity attached to the prosecution. When the respondent/accused was so discharged due to lack of proper sanction, the principles of “double jeopardy” will not apply. There was no bar for filing fresh/supplementary charge sheet after obtaining a valid sanction for prosecution. The Special Court once it found that there was no valid sanction, it should have directed the prosecution to do the needful. The Special Court has not given sufficient opportunities to produce valid prosecution sanction from the competent authority. The Special Court erred in refusing to take cognizance of the case even after production of valid prosecution sanction obtained from the competent authority and the High Court was not right in affirming the order of the Special Court. The Special Court and the High Court were not right in holding that the filing of the fresh charge sheet with proper sanction order for prosecution was barred under the principles of “double jeopardy”. Constitution of India - Art. 20(2) - Criminal P.C. 1973 - S.300 - - Principles of “double jeopardy” - No person shall be prosecuted and punished for the same offence more than once - a person once convicted or acquitted, cannot be tried for the same offence - In order to bar the trial of any person already tried, it must be shown – (i) that he has been tried by a competent court for the same offence or one for which he might have been charged or convicted at that trial, on the same facts; (ii) that he has been convicted or acquitted at the trial; and (iii) that such conviction or acquittal is in force. Where the accused has not been tried at all and convicted or acquitted, the principles of “double jeopardy” cannot be invoked at all. The whole basis of Section 300 (1) Cr.P.C. is that the person who was tried by a competent court, once acquitted or convicted, cannot be tried for the same offence. Industrial Disputes Act, 1947 - Sections 10 & 11A - the respondent was a casual worker and hardly worked for one year - In a case of this nature, and having regard to the fact that many decades had passed in between with no evidence adduced by the respondent that whether he was gainfully employed from 1977 onwards or not, the Labour Court should have awarded lump sum money compensation to the respondent in lieu of the relief of reinstatement along with payment of back wages and continuity of service by taking recourse to the powers under Section 11­A of the Act, rather than to direct 5 his reinstatement with all consequential benefits. In other words, having regard to the peculiar nature of the respondent's appointment and rendering of services by him for a very short duration (just 240 days only) and with no evidence as to whether he worked for gains or not after his services came to an end in 1977, this was a fit case where the Labour Court should have awarded lump sum compensation to the respondent instead of directing his reinstatement in service with consequential benefits. The Labour Court was empowered to pass such order by taking recourse to the powers under Section 11­A of the Act.